The Mary Tyler Moore Show didn’t shy away from controversial topics, though it didn’t tackle them with nearly the same frequency as its contemporary, All in the Family. It took a while for the producers to figure out exactly how to approach hot issues in a way that felt right for them — not like an All in the Family rip-off. 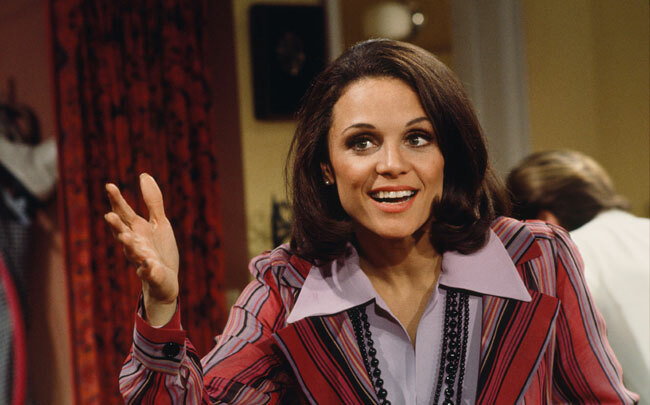 Two key episodes illustrate the differences: One, called “Some of My Best Friends Are Rhoda,” hammered away a little too much at the central issue, Rhoda being excluded from a country club because she’s Jewish; the other nailed the issue of Phyllis’ gay brother beautifully, subtly, and very Mary Tyler Moore-ly. A year later, however, they got gay rights right. The entire half-hour focuses on the growing relationship between Rhoda and Phyllis’ visiting brother, Ben. Phyllis worries the two will get married, and she’ll end up with her nemesis as her sister-in-law. Even the audience starts to think this could be it. Then in a beautifully played final scene, Rhoda disabuses Phyllis of this notion: “He’s not my type!” she says with a conviction that confuses all of us. Perhaps the writers approached the topic so subtly — and thus hilariously — because they didn’t set out to. The script originally called for the Rhoda-Ben liaison to worry Phyllis, but to be a heterosexual encounter. But guest star Bob Moore, who was playing Ben, was gay, so director Jay Sandrich and producers James L. Brooks and Allan Burns saw an opportunity to change things up. It got one of the longest studio-audience laughs in the show’s history, and brought the idea of laughing at people’s reactions to gayness — rather than at gay people — to mainstream TV’s millions of viewers. Reblogged this on Mary and Lou and Rhoda and Ted. I agree that “Some of My Best Friends Are Rhoda” wasn’t exactly top-notch. It was nice to see that Mary had other girlfriends besides Rhoda and Phyllis, though. I actually think “My Brother’s Keeper” is the best, or one of the best, episodes of the show. Oddly underappreciated, it seems. Chuckles is great, but this one is just as good, in my opinion.